I absolutely adore this photograph. The colours are brilliant. She ahs such a genuine looking smile on her face and her outfit looks summery and comfy. Just beautiful! 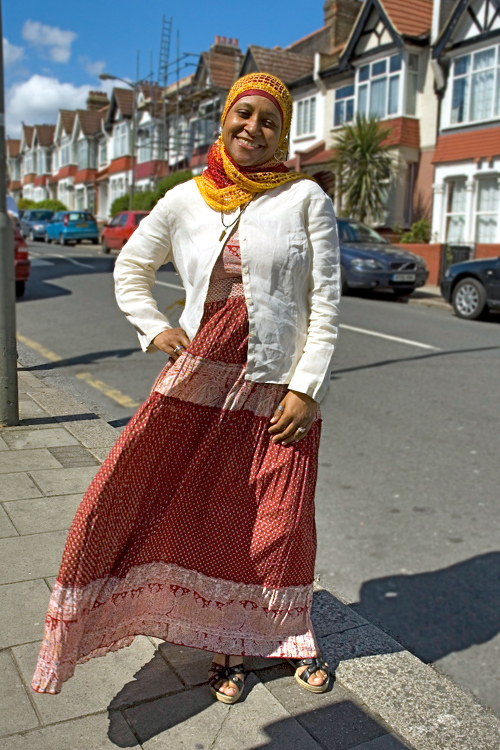 I LOVE this outfit and the girl's bright smile Mashallah! Aaaw, this is nice, Very modest and lady like. The undisputed queen of the hijabscene! the colors look great on you. just looks like you are so comfortable and enjoying the nice warm summer/spring air. She looks lovely! I like the dress -has that summer feel to it. The background makes the picture brilliant. sister has so much noor on her face mashallah! What an amazing dress! The texture of the scarf plays beautifully with the pattern in the dress. Such a lovely outfit. Mashallah. There is something really special about this picture. It says many things to me personally. Even to begin explaining it would take away from the experience of simply enjoying it.